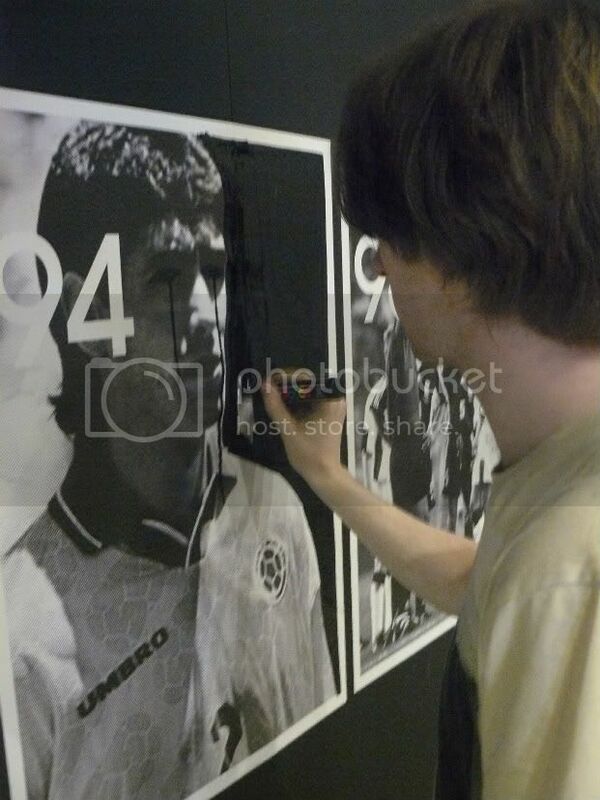 These are some work in progress shots of a World Cup piece we have been asked to do at the Dale St. offices of Umbro. 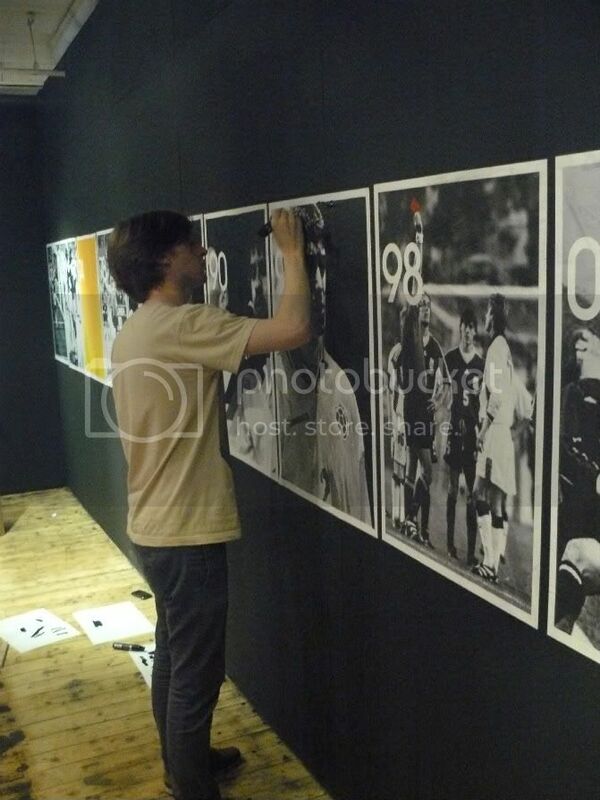 The piece is based around eleven posters featuring images of our favourite famous and infamous moments in each of the World Cups since England won in 1966, we've then been working into these images with black paint pens. 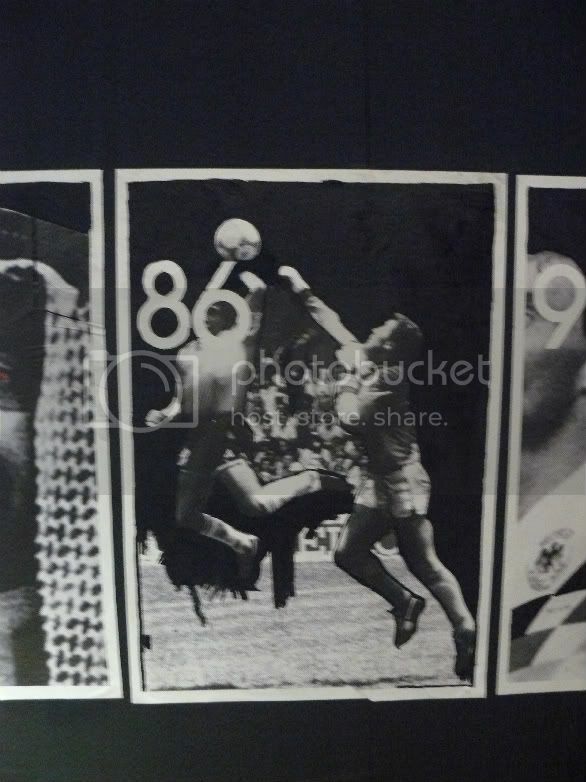 We'll pop some more pictures up soon!